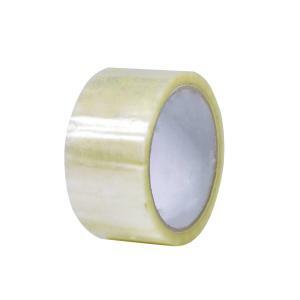 The Winc Acrylic Packaging Tape - Clear - 48mm x 75m - Each is suitable for all general purpose carton sealing. It is resistant to ageing and sunlight, meaning it won't dry up from UV exposure, while having good adhesion to plastics. It is great for use in offices, mailrooms, and warehouses. Available in 24mm, 36mm or 48mm sizes with a brown or clear finish. Oxo Degradable Bubble Pack Disposable Box 375mmx50m Perf.